Jailing journos for ‘receiving’ official secrets? 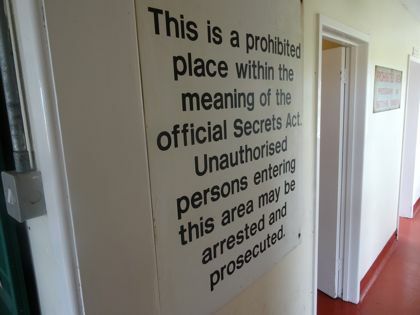 A PROPOSED "update" of the Official Secrets Act, announced by the Law Commission in mid-February to widespread outcry, could result in long prison sentences for journalists doing their jobs by making disclosures that are in the public interest. Crucially, the proposed new definition of "espionage" would include receiving as well as passing on "confidential" material. The report proposes expanding the definition of that to include "sensitive economic data." The context for this is the imminent Brexit negotiations, which follow numerous leaks about Brexit, with an investigation underway into a leak of a Government memo about Brexit leaks, which would be a meta-leak. At this stage, the plans are still very provisional. The NUJ has already responded to say it "will be robustly defending the rights of its members who face being criminalised for doing their jobs under proposals to update the Official Secrets Act." An initial Law Commission consultation into the plans closes on 3 April. Law Commissioner Professor David Ormerod QC said on the Commission's website that "we welcome views," indeed "a wide range of views", especially from "the media." Press Gazette reported that soon after the announcement, a "deputy spokesman" for Prime Minister Theresa May was already seeking to play down its impact, insisting it would not "restrict the freedom of journalists". Watch this space.